Lock in a great price for Rinconcito Lodge – rated 8.6 by recent guests! We stayed in an upgraded room at the lodge. It was nice with a deck and a view. The room was very clean with a king size bed and air conditioning. Breakfast was included. Friendly staff, beautiful views, so much to do. Loved the animals and farm like experience. The staff helped us book ziplining, horseback riding, and mudd hott springs tour. It was absolutely incredible. 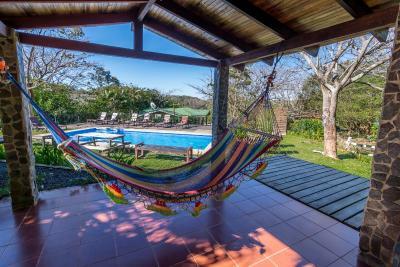 Great location near Rincon de la vieja national park. Staff friendly and helpful. Excellent service and information about the Rincon de la Vieja park at the reception. The room was vast and beautiful. The whole resort is green, lush and quiet. We even saw a few fireflies in the evening. Nice swimming pool with a hammock corner. I loved my stay here. Very secluded, great place to relax and unwind or go on adventures. Something for everyone. Jose was especially great on tours. He took me on the best horseback riding adventure of my life! Food was always great. Pool was clean and nice. Wifi worked decent. Book tours through the desk upon arrival and not in advance. Upgraded to a king suite and it had an incredible view. Make sure you rent an SUV with 4WD. 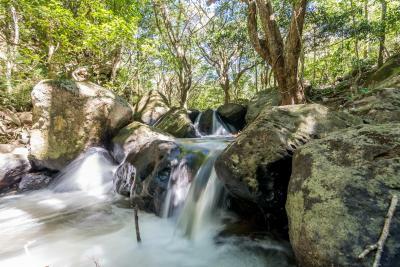 It was an excellent location in proximity to the National Park. We enjoyed our stay. The rooms were very nice and comfortable, the staff was friendly, and the service and meals were excellent. Delicious breakfast, great food in general, but number one is the AMAZING STAFF! our favorite people we met in Costa Rica. Zip line if you can! 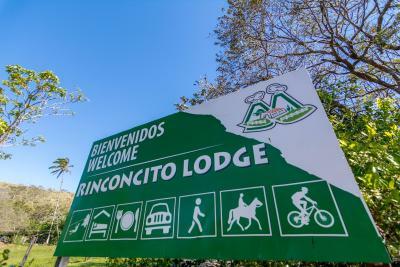 Rinconcito Lodge This rating is a reflection of how the property compares to the industry standard when it comes to price, facilities and services available. It's based on a self-evaluation by the property. Use this rating to help choose your stay! 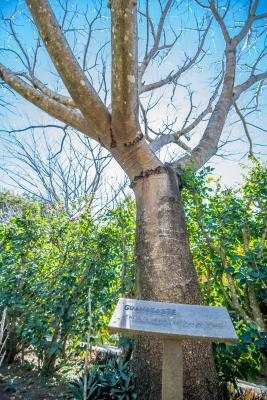 Rinconcito Lodge features a garden and complimentary WiFi in public areas. The rooms offer a private bathroom with shower and free toiletries. They have wooden furniture. 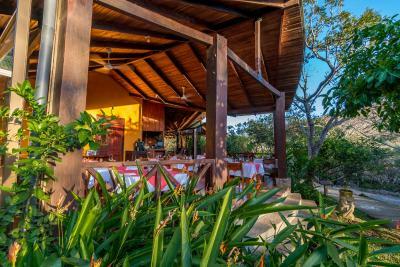 Rinconcito Lodge’s restaurant offers regional cuisine. 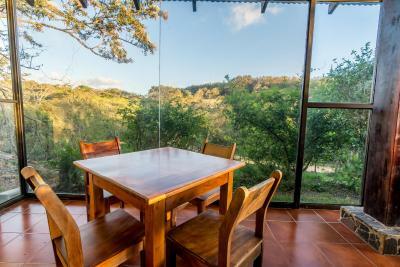 The property also has a bar and can arrange tours to Rincon de la Vieja National Park and to Miravalles volcano. 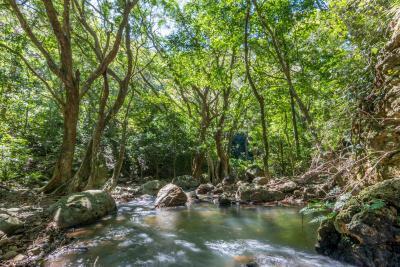 Rincon de la Vieja National Park can be accesses after a 10 minutes drive from Rinconcito Lodge. Thermal springs are 15 minutes by car from the property. 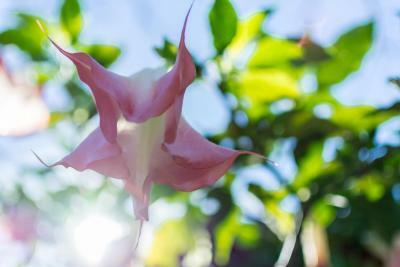 Miravalles Volcano can be reached with in a 30 minutes’ drive. 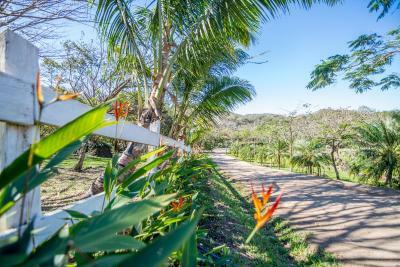 This property also has one of the top-rated locations in Hacienda Santa María! Guests are happier about it compared to other properties in the area. 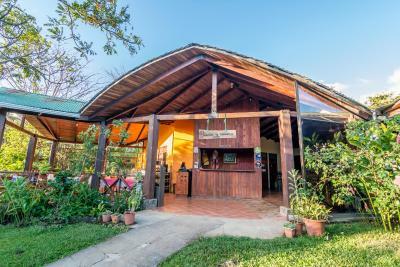 When would you like to stay at Rinconcito Lodge? This comfortable and spacious room is furbished with 2 full-size beds and wooden furniture. It also features a terrace with rocking chair and hammock. It offers an excellent mountain view. This comfortable and spacious room furbished with 1 king-size bed and wooden furniture. It also features a terrace with rocking chair. It offers an excellent mountain view. 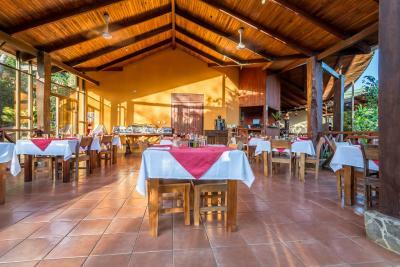 House Rules Rinconcito Lodge takes special requests – add in the next step! 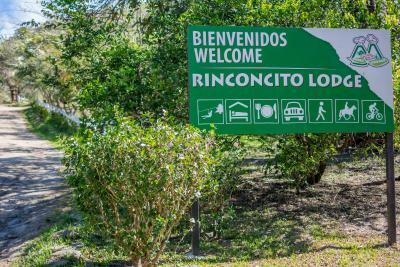 Rinconcito Lodge accepts these cards and reserves the right to temporarily hold an amount prior to arrival. The staff was super friendly and the food amazing. I had a wonderful time and would definitely stay again. We found the price expensive for the little room we had. There was a leak in the bathroom we think and we’ve been eaten by bugs the whole nights. Also, something not related to the hotel but that I would have found useful to know: to get to the hotel, you must drive on a private road and have to pay a price per person. The staff was wonderful, warm, professional and always eager to help you. The bed was incredibly comfortable. The pool was a big plus and the food at the restaurant also. We had a fabulous room with a balcony looking out on what i would describe as a wilderness park. Breakfast and dinners at the lodge were very good. Short drive to Rincon de la Veija Park or hot springs. The staff were great. Flies are an expectation in outdoor dining, but I believe they could invest a few dollars in some fly bait or other deterrent. I've been traveling in Costa Rica for 16 years, some places have no flies, some have a lot. Not enjoyable having to swat at flies at every meal. There is a great view from the balcony in superior room. Staff was super nice and helpful. Food was delicious and not too pricy, around 10 to 12 bucks per meal with soup/salad and dessert. Also the lunchpacks, 10 bucks too, were great for hiking. We hiked in both sectors, of the National Park, both 15 bucks per day. The 10k is definitely worth it, also the 3k round trip where you can see all kind of different water and mud holes. 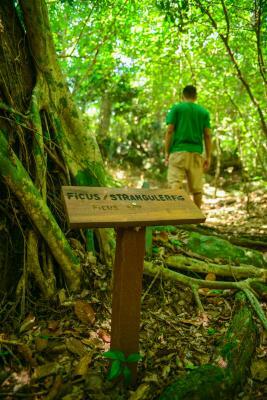 Good starting point if you plan to explore Rincón de la Vieja National Park. Staff was very friendly and breakfast was great! The roof to room 315 banging all night in the wind. The bed creaking every time someone moved. Poor quality pillows. The poor condition of the access track up to the cabin/room. Food in the restaurant more expensive than anywhere else we have been in our two weeks in Costa Rica, 7000 colones for chicken fajitas. Good location close to the activities that we wanted to do. Close to Liberia but very rural and showed us a totally different side of Costa Rica. Staff were friendly and helpful. Enjoyed every minute of my stay but wish that there were other things to do walking distance from el Rinconcito. Be aware it is very isolated which we liked. Very friendly and helpful. Good food. Great hammocks. Nice grounds with pool. 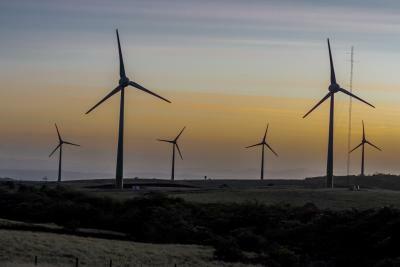 It gets quite windy, and chilly at night, so bring warm clothes also. This place is excellent. 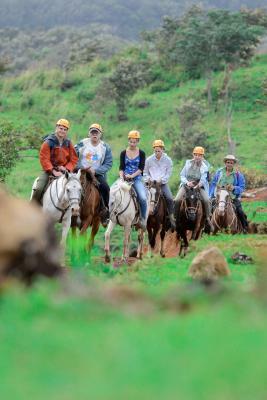 Great combination day tours with canopy tour, horseback riding and hot springs visit. Beautiful setting in the jungle on a mountain slope. Would strongly advise a 4 x 4.